After securing $15.5M Series A funding, leading supplier of tag management systems expands leadership team with appointment of experienced executive talent to its client services and engineering teams. Ensighten is the leader in high-performance enterprise tag management solutions. The addition of Andy and Naomi to the Ensighten leadership team is great news for Ensighten’s customers and partners. Their experience is unmatched in the tag management sector. Ensighten, innovator of enterprise tag management systems that optimize Web analytics and digital marketing performance while ensuring privacy compliance, has appointed two former aQuantive executives to its leadership team. The announcement was made on the back of securing $15.5M in Series A funding, which was led by Volition Capital with participation from Eastern Advisors and Floodgate Fund. Ensighten has appointed Naomi Kagan to vice president of client services, where she will head up Ensighten’s growing global customer services, training, and support functions to ensure best practices in the company’s customer and partner programs. 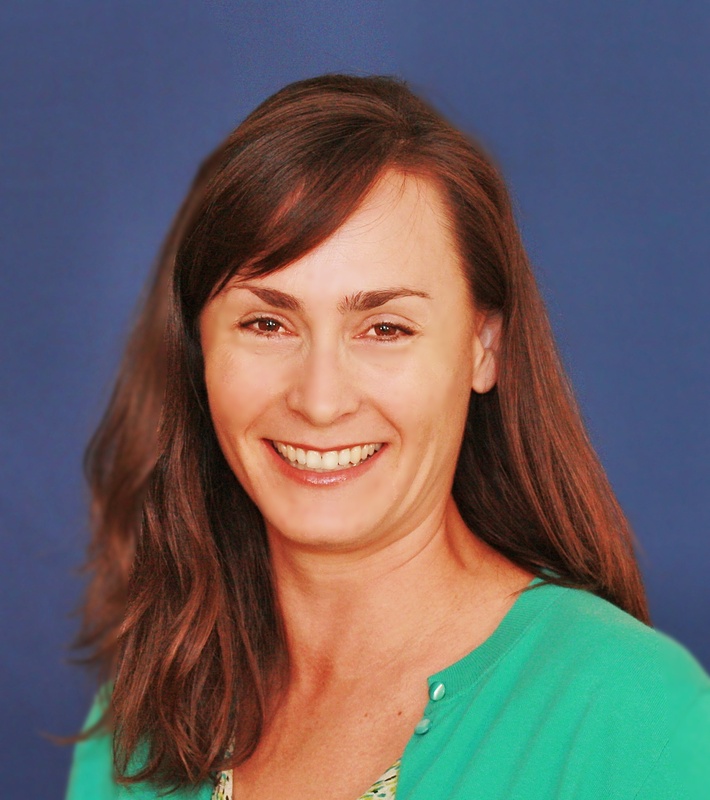 Naomi comes to Ensighten from AdReady, where she was recruited to help drive a business turnaround by creating scalable operations and a culture of knowledge-sharing in post-sales functions. Prior to that, she was vice president of client services at Atlas/aQuantive, then assuming a similar role at Microsoft after its acquisition of aQuantive. At Microsoft, Naomi led a global team of 200 supporting the Atlas Advertising Suite, as well as the advertising operations for Microsoft Advertising. Her deep experience leading global support operations and developing scalable service offerings will enable Ensighten to further grow its industry leading enterprise tag management capabilities. 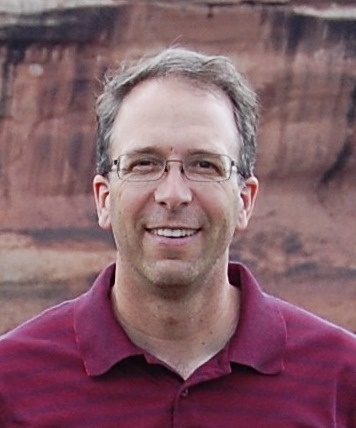 Also joining Ensighten is Andrew Thomas as vice president of engineering. Most recently CTO at Marketfish, Andrew spent over 10 years at aQuantive and Microsoft guiding the development of the Atlas Advertising Suite. His experience building enterprise-class Web applications, designing scalable infrastructures to deliver 14+ billion requests per day, and staffing and leading large engineering teams, will be of immediate benefit to Ensighten. A champion of Agile- and Lean-based software development methodologies, Andrew will enable Ensighten to further accelerate the delivery of industry-leading product innovations to its customers and partners. Ensighten delivers tag management services for more than ten percent of the Internet Retailer 100 (including two of the top five companies listed on the index). Ensighten’s customer portfolio includes A&E Networks, LendingTree, Lenovo, Microsoft Stores, Monster, Sony, and Subaru. Dell, Orchard Brands, Scholastic, Thomson-Reuters, TUI and Verizon have been added in recent months. Ensighten technology is now deployed across 25,000 customer website domains, with its cloud-based Tag Delivery Network currently serving 300 billion tags per quarter, a figure that increases by 40 percent each quarter. Ensighten now delivers more than 1,500 different digital marketing services across its customer base, and its technology recently powered the tag management for a major U.S. news outlet covering a global sports competition in London, delivering more than 2 billion digital marketing tags across Web, video and mobile over a two-week period. ■ Closing a Series A round of $15.5 million. ■ Expansion into Europe with the opening of Ensighten’s EMEA office in London. Since opening the office in May 2012, headcount has doubled to 12, and notable British brands Ferguson, Norgren, RAC and TUI and have been added to the customer roster. ■ In a recent report, Forrester Research Inc. stressed the importance of effective tag management for crucial customer intelligence and interactive marketing initiatives, and recognized Ensighten as a “highly innovative” enterprise tag management system. ■ Doubling of office space at the company’s US headquarters to accommodate hiring in sales, marketing, and engineering. ■ A competitive win at Subaru, where Ensighten decreased homepage load time on Subaru.com by 2.7 seconds, compared to the incumbent tag management vendor whose product is based on inefficient, container tag architecture. ■ Ensighten's new technology to enable marketers and publishers to comply with online privacy and adopt best practices is recognized by the Online Trust Alliance Honor Roll. Naomi Kagan joins as vice president of client services. Andrew Thomas joins as vice president of engineering. 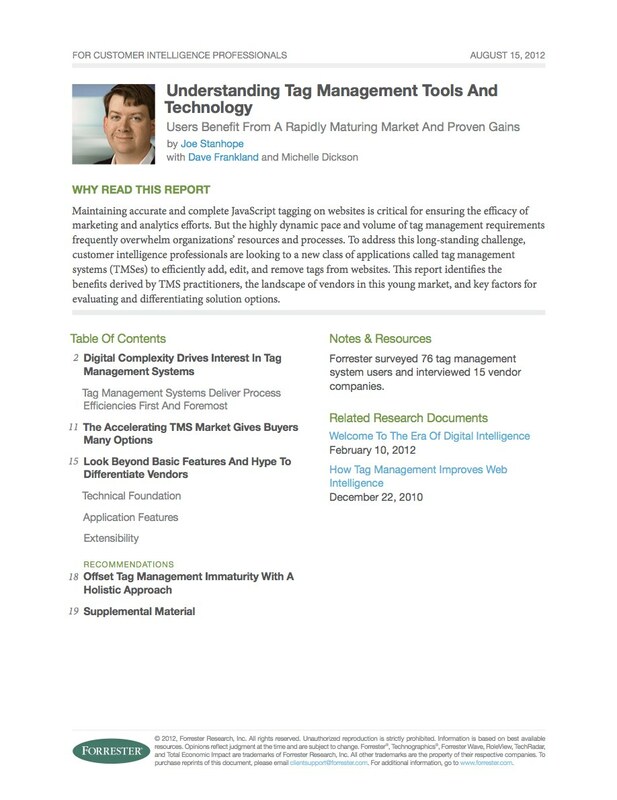 Ensighten is included in an August 2012 report by Forrester Research Inc.: “Understanding Tag Management Tools And Technology"